Howdy, friends! Welcome to Game Doctor, a new series I will be doing intermittently. The concept for this started as a single article where I was planning on writing about how I would fix classic board games. However, as the list of games needing a tune-up grew and the details of each game got more in-depth, I figured I might as well make this its own thing. So here we are. ……Plus I love designing games and will take any opportunity to do so. The general idea is I will be taking a close look at some classic board games and finding out what’s wrong with them. A lot of older board games don’t really have much gameplay to them and I’ve nominated myself to fix them. 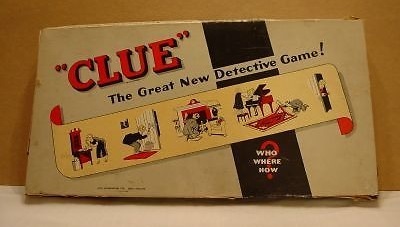 In case you click on articles without reading the titles, today we’ll be taking a look at Clue. 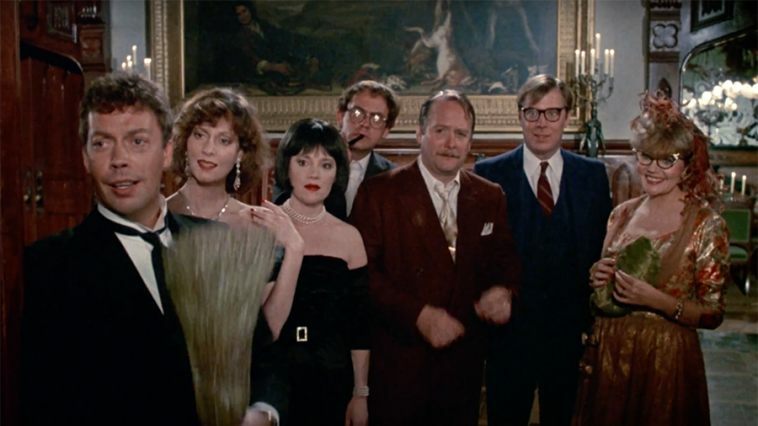 Before we jump in, we have to find out what’s wrong with Clue. Why is it generally regarded poorly nowadays? In case you don’t remember, in Clue each person is given a few cards known only to them. On each player’s turn, they make a guess. Then the remaining players go around the table and inform the guesser if they have any of those cards, thus proving that aspect of the guess to be wrong. Players can make a full accusation by checking the cards in the hidden envelope. If their accusation is correct, they win! The absolute main reason Clue isn’t great is because its core concept isn’t even valid. In Clue, you’re not solving a mystery. You’re guessing randomly and eliminating possibilities until only one option remains. That’s not trying to unravel a puzzle; it’s checking off boxes. There’s no logical connections to make nor any clues to attempt to unravel. 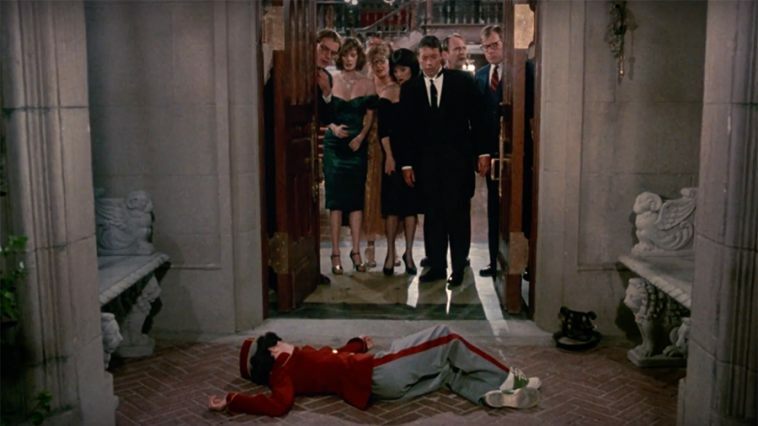 First and foremost, I want to keep the core of Clue untouched. You’re attempting to solve a mystery by gathering clues and attempting to discover the murderer, the weapon and the room. We are going to make Clue require actual logical deductions. Also, we’re taking aspects from the movie, which is just a fun bonus. New Clue follows the path the movie takes. 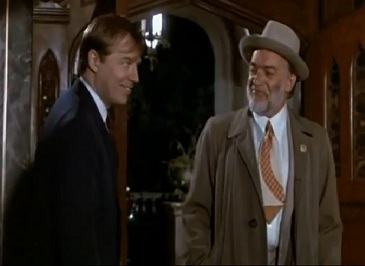 If you haven’t seen the Clue movie, I’m sorry you’ve lead such an empty life. There are minor differences, which I won’t discuss for spoilers’ sake. In New Clue, players take the role of police investigators who have just busted in on a dinner party gone horribly wrong. You find several dead bodies in the study, but that’s clearly not where they were killed. You’re attempting to question the suspects but they are all talking over each other and you can’t get a clear answer from any of them. To make it easier, each dinner guest is put in a separate room to be questioned individually. What you’ve learned so far is that the guests were all invited to a dinner party and were gifted a weapon. Throughout the night, random strangers and house staff were murdered: The Cook, The Maid, a Telegram Girl, a Cop, a Driver and the Host himself. As expected, none of the guests are giving straight answers but they’re answering unusually cryptically. It’s up to the investigation team to figure out which suspect killed which victim, with which weapon and in which room. However, you’re all up for promotion and getting these murders solved fast (and correctly) is a surefire way to land that spot. If you’re a fan of logic or puzzles, you’ve probably stumbled across logic grid puzzles before. 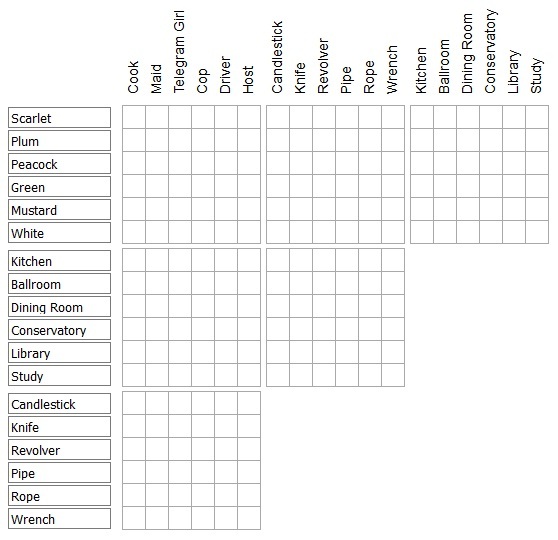 Rather than the checkbox system that Clue currently uses, New Clue will use these logic grids to solve the murder. Each turn, a player will visit one of the rooms to ask one of the guests something. The guest will tell the investigator things they remember. The clues will be reminiscent of those used in these logic puzzles. The person who was gifted the knife hates singing telegrams. Mr. Green avoided the room where the murder with the wrench occurred. Prof. Plum spent all night in the Library. Mrs. White said she had the perfect place on her mantle for her new candlestick. Rather than distributing cards to eliminate the possibilities, New Clue uses an app to inform the investigators of these clues. To be frank, I’d prefer not to use an app, but I can’t think of a reliable method of randomly distributing clues that wouldn’t be needlessly complex. Instead, we have this technology, why not use it? Throughout the game, the investigators will gather enough clues to fill in their grids. Anytime the investigator chooses, they can make an accusation. An accusation can be any positive connection they believe is accurate. It could be as simple as accusing Miss Scarlet of using the knife. Even without the victim and location, this is a valid accusation. Accusations increase in point value the more connections it makes. An incorrect accusation costs you half that many points. Each accusation is announced to all players as well as if it is correct or not. This could end up helping other players towards making accusations of their own. Is it better to make smaller accusations early or hold out and try to make a full accusation for big points? Making big accusations can be tempting but could backfire if someone else accuses your suspect before you do. Once a correct connection is made publicly known, no other accusations can use that connection. Once each suspect, victim, weapon and room have been correctly identified, the game is over. Whichever investigator has the most points wins! The first thing that would need adjustment is the point values for the accusations. I want to make sure that higher level accusations are worth more than double of the previous level, to be even more enticing. I also thought about having bonus points for whoever made the most of each type of connection. But this is meant to be more of a foundation and doesn’t need all that extra stuff for now. What classic board game should I cover next?